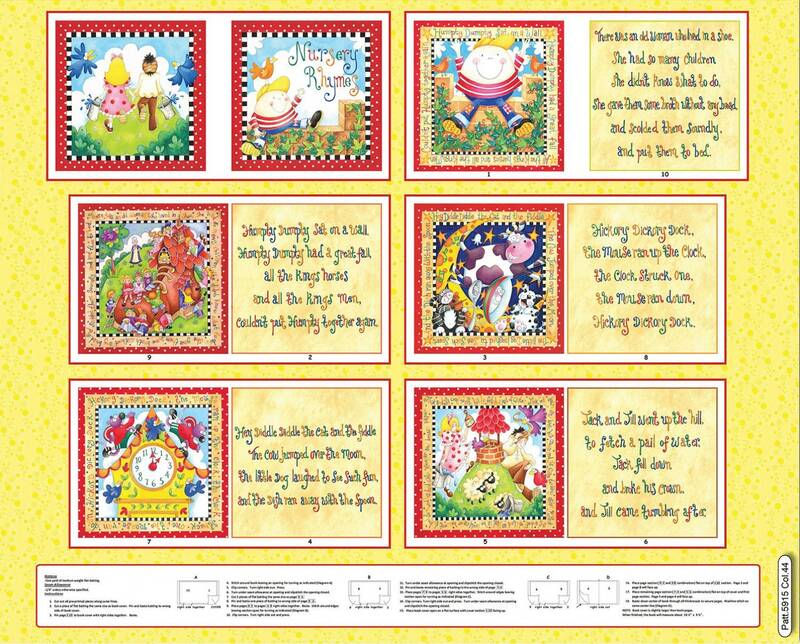 All of the classic Nursery Rhymes have come to life in this beautiful and fun cotton cloth book panel. Remember Humpty Dumpty, The Old Woman In A Shoe, Hickory Dickory Dock and Hey Diddle Diddle? A trip down memory lane for the adults and a new adventure for the little people! Each page is brightly colored in wonderful shades of red, blue, orange, yellow, orange and green. The fun characters are sure to bring a smile to your face!